Guitar amplifier reviews -Do low-cost guitar amps have to sound Cheap? Cheap guitar amps that sound bad have dashed the dreams of many guitar students. Guitar amplifier reviews could help them find the best amp before their first purchase and many could have spent around the same amount of money on a great sounding amp that they would be happy with for many years. Most beginning guitarists have a vision of what they hope to sound like. Learning to play well takes long concentrated effort and a bad sounding amp has discouraged many a player so they finally quit. Quite a few people, after they have finished buying electric guitars are shocked at how much a good top of the line amplifier costs or just focus on any old amp to get started. Keep in mind that a good guitar salesperson can make almost anything sound amazing. So they end up with guitar amps that seems good enough at the time and later come to the realization that they made a mistake or worse yet, blame themselves for sounding so bad and throw the whole rig in the closet. All this really doesn't have to be this way. Today's technological advances in electric guitar amp design makes the best sounds ever available to a guitarist. Even when they are just looking for a cheap guitar amp. Guitar amplifier modeling can make you sound very large for nowhere near what it would have cost a few years ago. In the following guitar amplifier reviews, I will be focusing on what I would consider the best amps for practice and small gigs available today. Please understand when I talk about cheap amps, especially with the amps I recommend, I am really referring to affordable guitar amps and in no way am using the term in a derogatory manner. The amps I recommend here, I believe are of high quality for the money or they absolutely would not be on this page. So, what do you look for in a guitar amp that would make a good versatile practice amp that you can learn on and grow with? 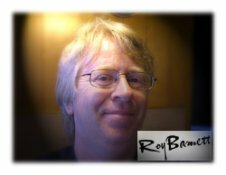 From personal experience and advice from others, I have a few suggestions and guitar amplifier reviews too. The amp has to sound great or at least very good. Enough power to practice with a band. Light enough and portable enough to take to lessons and band rehearsal. While only available in a couple of practice amps, a drum machine built in is a plus. A CD or MP3 input so you can play along with songs or backing tracks. A power sponge or power reduction switch to limit loudness in home settings. A headphone jack for private practice. High-quality Amp modeling presets and Effects. Cheap guitar amps - low priced guitar amps that don't sound cheap. Line 6 Spider Jam - I consider this the ultimate learning tool for guitar. Certainly not a cheap guitar amp, the price as I write this is right around $500, the tools available on this amp make it, in my opinion a great buy. I bought one and have been having a blast. The Spider Jam has an amazing drum machine built in, high-quality effects, a looping recorder that is really great for laying down your own jam tracks or it has a ton of them already built in. You can also plug in a CD player or MP3. With 75 watts, it will keep up with the band.Microphone input with level control and vocal effects ( you can record these also on the amp. 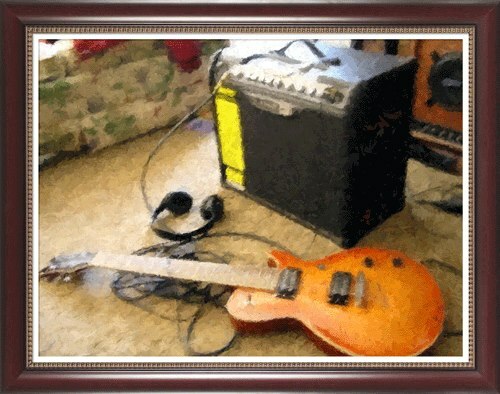 )Most of all its the most fun I have ever had with a guitar amplifier. Vox Valvetronix - I am very impressed with the Vox Valvetronix line of amplifiers. While not equipped with all the things that would make a ideal practice amp, I believe it deserves a place of honor here because of the quality of sound that come out of these amps and their amazing value for the money spent.They do have a headphone out for silent practice.These amps use valve reactor technology unique to Vox that produces some of the most natural tube amp simulations that I have ever heard. The Amps have a great selection of professional sounding effects and amp simulation.The controls are easy to use and have an a footswitch option that would make this a top notch performance amplifier. Line 6 Spider -These are Spider Jams without the jam.You get the amp models effects and presets in a very good sounding amp. I like the larger models because the size of the speakers make them sound bigger.Line 6 makes a top quality product. The Spider amplifiers have really good amp simulations and top quality effects built in and combined into presets. You can also store your own combinations or just dial in one and practice. Desirable practice features are CD input, headphone jack/out for recording. Roland cube - These little amps really surprised me. They sound great! Plenty of power, lightweight plenty of top quality effects ( Roland is the parent company of Boss who makes some of the most popular effects in the world. )The amp models can be loud. This is a very understated looking amp that is easy to write off if you don't know about it.It's a sleeper, but it certainly will wake a person up when they hear what it can do.Desirable practice amp qualities include, lightweight, powerful, Cd/MP3 input, recording/headphones out. All of these are great amps, only the price is what would make them cheap guitar amps. Peavey Vypyr - This is a very exciting amplifier line that I am going to be checking out over the next couple of days. Please check back. Jet City Amps - Amazing amps at amazing prices. These kick some serious tush. Thank you for visiting my guitar amplifier review page. I know all of these amps are really top quality. It is only there price that puts them in the category of cheap guitar amps. Before you leave this page on cheap guitar amps check out the following related pages. 1. Guitar amp settings - What settings give the best sound? 2.Electric guitar tuning - If you're loud, doesn't it just make sense to be in tune? Easy tuning tips. 3. Buying electric guitars - How do you get the most guitar for your money? Some great tips on this page.